Please fill in the form below and we'll call you back at your preferred time. What Type of Lease Are You Looking For? How much does leasing cost? 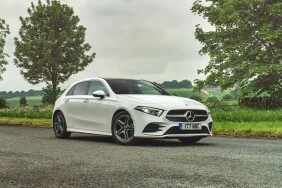 Welcome to the Mercedes A-Class Range, a superbly styled Mercedes A-Class range awaits for you. If you would like to discuss any aspects of leasing you next new Mercedes vehicle, our team of specialist advisors are here to help you. Please contact us via our contact form or just call 0330 056 3331 to speak to one of our friendly team. Sign up to our newsletter for our latest special offers, updates and advice. Success! You're all signed up. One moment, we're just signing you up. What do our customers think of us? LetsTalk Leasing is a trading name of LetsTalk Fleet Limited. Our registered office is City Of Salford Community Stadium, 1 Stadium Way, Manchester, England, M30 7EY. LetsTalk Fleet Limited are a credit broker not a lender and is authorised and regulated by the Financial Conduct Authority for consumer credit activities under reference number 773324. Tel: 0333 200 1103 Copyright © 2019 LetsTalk Leasing. All rights reserved. All vehicle images and descriptions are for illustration purposes only, all vehicle leases are subject to credit approval and subject to change at any time. You need to have an account to add vehicles to your showroom. Click the button below to login or to create a new account.